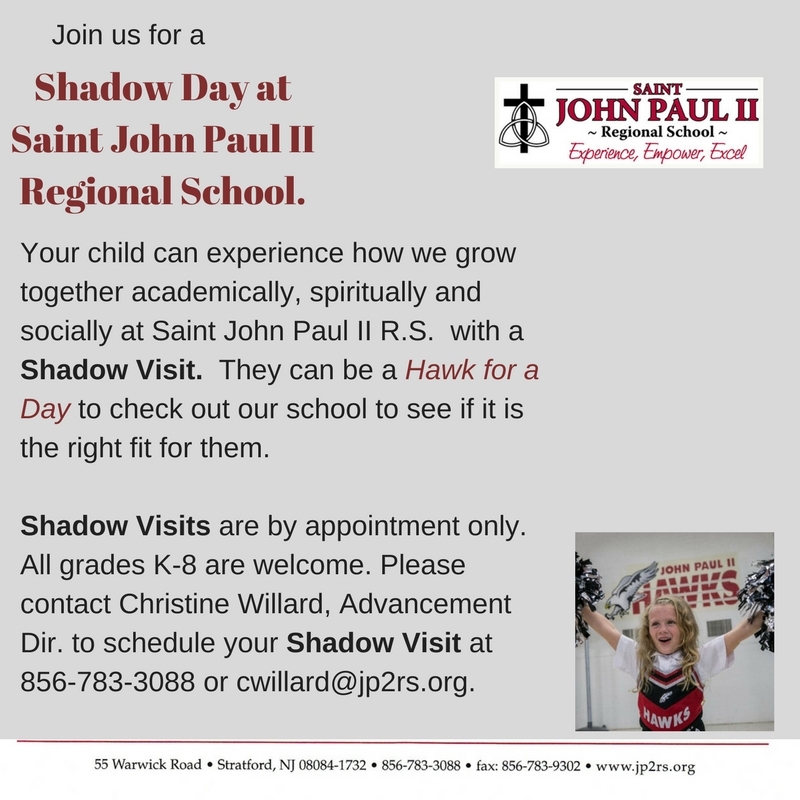 St. John Paul II Regional School is situated in a suburban area in Stratford, Camden County, New Jersey. The school building is a one story building divided into three wings that is handicap accessible and secure. Preschool through first grade teachers and students enjoy the colorful, hand-painted mural that covers this entire hall. It depicts the seasons of the year, dozens of friendly animals and several hidden mice (we’ve heard there are 83 total). The primary school wing also includes the nurse’s office and the extended day classroom used for before and after-care. It has direct access to the Parish Hall, preschool entrance and outside preschool play area. Our special education classroom shares this centrally located wing with second through fifth grade students. This hallway features a permanent Smartboard in one of the fifth grade rooms and has direct access to the library and media center. On any given school day, you’ll find this 10,000 square foot, new construction addition alive with activity! Occupied by our sixth, seventh and eighth graders, this wing houses six classrooms, a state-of-the-art science lab, a large art and music studio and lockers. Other features include a second permanent Smartboard in the science lab and 25 laptop computers. The Parish Hall is used for nearly all school activities including gym classes, assemblies, athletics and performing arts. It includes a basketball court, a full kitchen for our lunch program and a stage for performances. This newly renovated addition is for all students and includes books, video/audio resources, computer work stations and a reading area designed to encourage reading and book discussions.